Climb the Three Highest Peaks in Greenland! 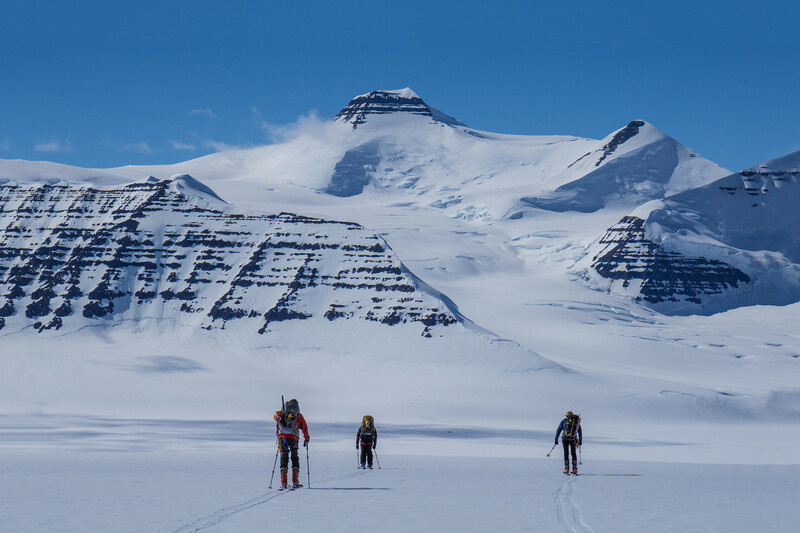 On this 11-day alpine touring ski expedition the aim is to ski and climb the three highest peaks in Greenland and other smaller peaks. Our destination is the pristine area in the center of the Watkins Mountains that arise from the ice covered interior of Greenland. To get into this wilderness on the east coast of Greenland we fly in on a privately chartered ski plane and then establish a comfortable base camp under the slopes of impressive Mt. Gunnbjörn. After skiing and climbing Greenland’s highest summit, Mt. Gunnbjörn, we will move our base camp for our climb of Cone and Dome, Greenland’s 2nd and 3rd highest mountains. From the third location of our base camp we will then have access to both great mountaineering and skiing. Please note that there is a risk of delay of the flight from Greenland due to weather, a fact that has to be considered when participants plan their flight out of Iceland. Book an open ticket!